When I was about 15, I began my involvement in community theater. For my small Mississippi town, it really did not seem all that amateur. I think there was some real potential for acting careers there, but they all kept their day jobs. Even our mayor was quite impressive on stage. With braces and a “not yet developed” body, I was always cast as member of the chorus, but it was a lot of fun, nonetheless. 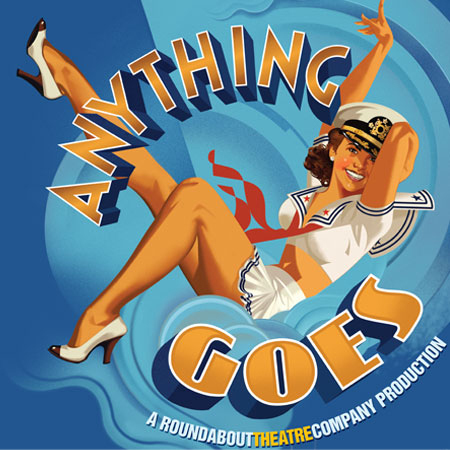 The musical Anything Goes was the first of several plays I was involved in. Unfortunately, I have not been able to dig up any pictures. Just imagine big hair, too much blush that was definitely not in my season and a sailor dress. I still remember every song and occasionally break out into a little “Take Me Back to Manhattan”, when I’m missing that city that I love so much. All that to say, I am very excited that Anything Goes is coming to the TPAC! The new Broadway revival of Cole Porter’s timeless classic musical theatre masterpiece, will dock in the Tennessee Performing Arts Center’s Andrew Jackson Hall October 23rd-28th. In case you know nothing about it, the play is a1934 musical comedy about two unlikely pairs setting out to see on the S.S. American on the course to true love… proving that sometimes destiny needs a little help from a crew of singing sailors, an exotic disguise and some good old-fashioned blackmail. Rachel York (pictured above) will star as Reno Sweeney and Fred Applegate will star as Moonface Martin in what The New York Times calls “a zesty new revival with knockout numbers and white-hot dancing”. If you are reading this in time, get your tickets now. You do not want to miss this “De-Lovely” show!